This self-guided tour Starts at Mozart’s hometown of Salzburg and finishes in the beautiful City of Vienna. 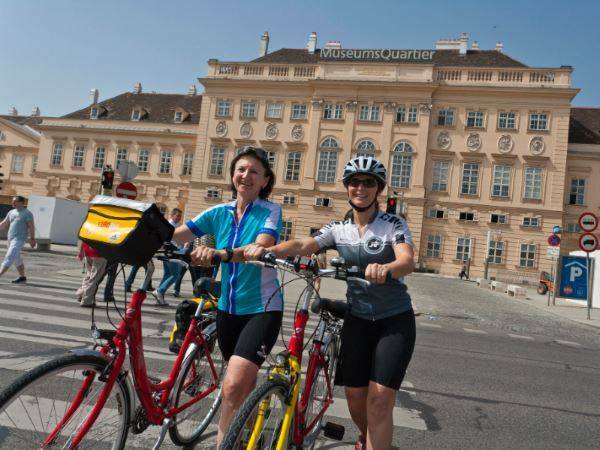 Cycle through Vienna’s wine region, visit Oberndorf, home of the Silent Night carol, and see the impressive castle of Burghausen. The path takes you through extensive forests, pretty Baroque towns and past churches, castles and monasteries. This is the perfect tour to combine relaxed cycling with delicious food, wine and a host of cultural attractions. 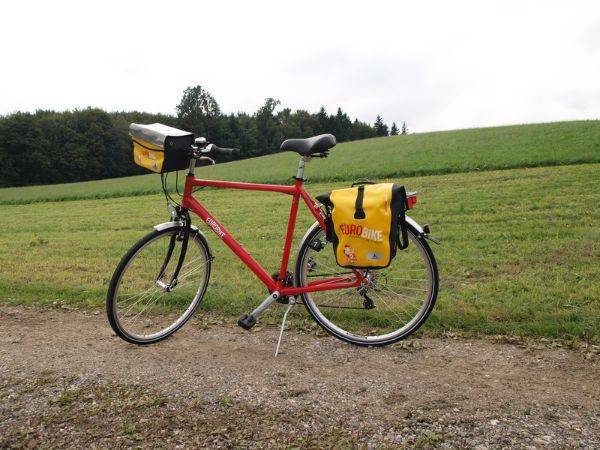 After the ‘Silent Night’ chapel in Oberndorf, you will cycle through extensive forests to Tittmoning. From here the Nature Adventure Trail ‘Unterer Inn’ runs until Burghausen. The stunning old part of town and the biggest castle site in Middle Europe are the most prominent features in this most memorable town. After the Gothic town of Braunau and numerable bird colonies the path leads to Obernberg. Take a close look and visit the Monastery in Reichersberg. Just like a string of pearls the small towns along the river Inn appear and without question, one of them is the Baroque town of Schärding with its famous colourful row of houses on the main square called the ‘Silberzeile’. Salzburg – Burghausen 60 km Until Tittmoning the terrain is flat throughout and runs mainly directly along the river Salzach, after leaving the Salzach river bank a longer ascent awaits. 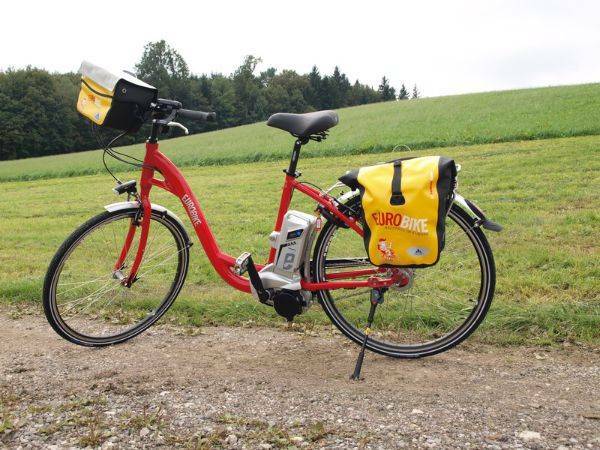 Burghausen – Schärding 70 km This stage starts immediately with a longer ascent, further on the cycle path leaves in parts the Inn riverbank, which causes a slightly more hilly terrain. All starting hotels are either within walking distance or about 1-1.5km away from the central station. Taxi fare costs approx. €8 to €10. Hotel Holiday Inn, Hotel Mercure and Hotel Ganslhof can also be reached by public transport, take city bus #2 to stop Vogelweiderstrasse (approx. 3 minutes to the hotels from here), it costs approx. €2.80 per person and takes about 10 minutes. Munich Airport Franz Josef Strauß: by train to Salzburg, one change at München Ost. It costs approx. €35 to €45 per person. Then refer to Arrival by train. 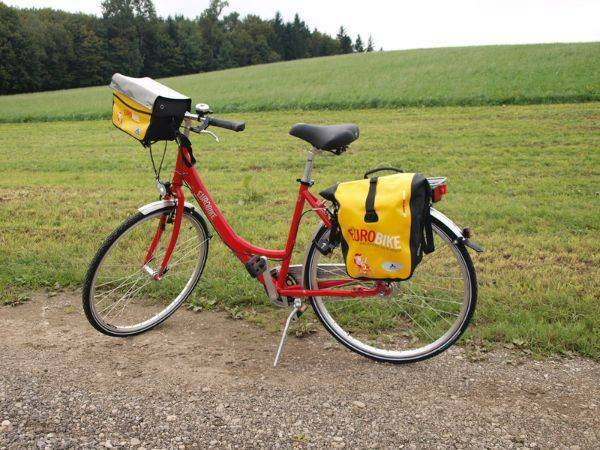 The Salzburg to Vienna cycling holiday includes the daily transfer of luggage to the next hotel and local support if required.